Ana Fisyak recently applied for citizenship in Zaqistan – a two-acre slice of desolation in remote northwestern Utah with no roads, no water, no shelter and no Starbucks. 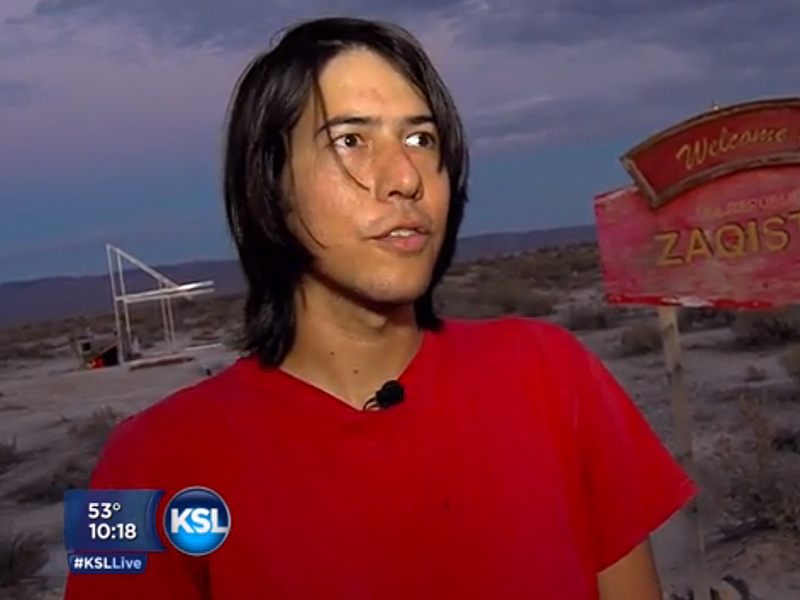 Landsberg bought the remote acreage in Box Elder County in 2005 for $610 on eBay, put up a flag in the middle of the property so he could locate it on future visits, then decided, why not name the place Zaqistan? 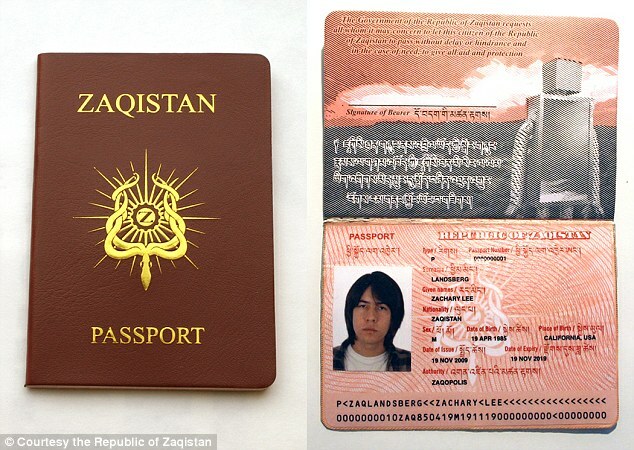 He now has an official yellow-and-red Zaqistan flag, a border patrol gate with a giant robot sentry and authentic-looking passports that can be purchased for $40 on hiswebsite. There are no buildings in Zaqistan, but Landsberg, who visits about once or twice a year, has created several monuments on his land, including a victory arch and a bed of plastic wildflowers. A geodesic dome vanished in 2009 and didn’t turn up until two years later – the victim of high winds. Mt. Insurmountable – the highest point in Zaqistan. Landsberg planted a flag upon this peak when he first arrived at the land in 2005. Landsberg has no plans to build a cabin on the site since there is no water for miles and the nearest town, Montello, Nevada, is 60 miles away. But he and his girlfriend would like to build a front porch. Because Landsberg pays property taxes every year, declaring that his two acres is a sovereign nation probably isn’t illegal, according to officials. But they wonder why Landsberg is devoting so much time and energy to a plot of land that few people can locate. A public works project planted by members of the 6th Expedition to Zaqistan at Cody’s Point in 2010. “Is Taiwan legally a country? Is the Vatican?” asks Landsberg. “Really, there is no legal standard for what is a country and what is not. I would describe Zaqistan as a de facto sovereign. The government isn’t recognizing Zaqistan sovereignty, but they’re not stopping me from doing my thing out here either. Manjit Singh Exposed Anti Sikh Website "Sikhmarg"